Contact Hialeah ATV Accident Lawyer Gerson & Schwartz, P.A. Despite widespread awareness of the extreme hazards to by all-terrain vehicles (ATVs), ATV accidents continue to claim the lives and futures of Florida especially youngsters. Under Florida law, ATVs are not authorized for use on paved road, but children continue to bring ATVs on to Florida's roads and highways. Florida laws also prohibit the carrying of passengers on most ATVs, require children below the age of 16 to take approved ATV training courses, and require kids younger than 16 to wear helmets, eye protection, and over-the-ankle boots when operating ATVs. However, these requirements apply only when ATVs are operated on public lands, leaving kids essentially without protection when riding ATVs on private property. Within the past year and a half, several ATV accidents have starkly confirmed that Florida's motor vehicle safety laws don't go far enough, and that even where these laws are potentially helpful, they are not inspiring compliance. It turns out that imperfect laws are not the only weak link in protecting kids from ATV tragedies. Ineffective manufacturer warnings now appear to be part of the problem. In a study published late last month by the American Academy of Pediatrics, the Academy found that even where ATVs come equipped with labels urging safety precautions and warning against high-risk behaviors and any use of ATVs by children younger than 16, high-risk and underage uses continue unabated. The Academy documented not only that almost 40 percent of ATV-related injuries are suffered by users younger than 16, but also that no respondents, in their study, pursued recommended ATV training, and only 36.7 percent of respondents were helmeted at the time of their crashes. The Academy also found that even after being injured, and despite manufacturer labels warning against underage and risky uses, children who survived ATV injuries went on to ride again, and resumed riding without safety gear, riding on paved roads, performing dangerous maneuvers, and carrying passengers. When a child has been injured in an ATV accident, he or she may be able to recover damages for his or her injuries from an adult who wrongfully permitted him or her to use the vehicle. Providing a child with even supervised access to an ATV, without consent of the child's parents, may be deemed negligent misconduct for which damages are owed; and encouraging or allowing a child to use an adult-size ATV, which has relatively large engine size and speed capacity, is a more specific, but related, basis for liability. Gerson & Schwartz, PA has successfully represented accidents victims including youngsters injured in ATV accidents. Equipment failure, in the form of either malfunctioning ATV parts or defective design of ATV parts, may provide another and different avenue of redress for injured ATV operators. All parties in the chain of manufacture and distribution of an ATV that ultimately causes injury are potentially reachable in cases of this kind. The legal principles that may support a claim based on ATV malfunction include traditional negligence (i.e., a breach of a duty of care owed to the ATV operator), warranty breach (involving both explicit and implicit terms of purchase), failure to warn of known equipment risks, and strict liability (in which the inherent danger of ATVs will obviate the need for a suing party to show carelessness on the part of the ATV manufacturer, distributor, and/or retailer). 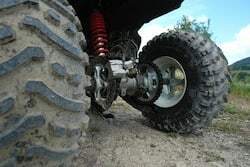 Since it is now growing clear that typical warnings on ATVs do not have much effect on a majority of youthful ATV operators, establishing precisely what constitutes an adequate ATV warning may require some especially careful analysis on the part of the attorneys who represent injured ATV victims and their families. 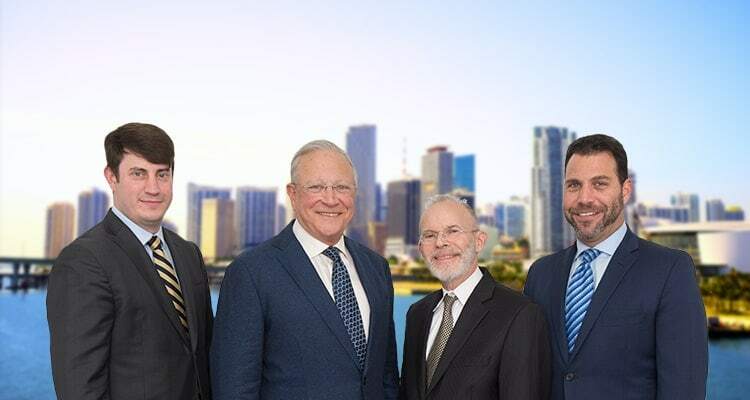 If you, your child, or other loved ones have suffered injuries or losses as a result of an ATV accident, please do not hesitate to contact experienced vehicular accident attorneys at Gerson & Schwartz, PA. For information on how we may be able to assist you, contact us at (305) 371-6000 or email us at info@gslawusa.com.